The following article was published by ESUSD in a special insert in the El Segundo Herald on July 5 2018. Click headline for full story. As we face the sad and frightening reality that school shootings continue to increase in frequency, ESUSD is committed to doing everything possible to keep our students safe and secure. For El Segundo, this means a change of culture as we shift to a more secure environment. 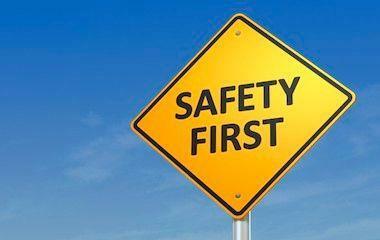 ESUSD is taking action with a comprehensive approach to improve the safety and security of our schools. We are working on improvements to campus facilities, security procedures, and attention to mental health services for all students. ESUSD is working with the El Segundo Police Department and outside safety experts to improve the District’s security procedures and incident response. All staff members received training related to violent intruders. ESUSD is working with architects to improve the physical structure of its schools including increased fencing and more secure entry portals, and is taking action to increase awareness, response, and services for all types of socio-emotional health issues. In March 2018, the ESUSD Board of Education approved a consultant agreement with Actus Consulting and Training. The El Segundo Unified PTA Council and Eagles’ Nest PTO contributed a combined $7,000 toward this important service. Actus Consulting and Training provided a custom tailored security assessment for all school sites, as well as created and facilitated Table Top Exercises (TTX) at El Segundo Middle School and El Segundo High School. In addition, all faculty, staff and the administrative team at each school site completed Violent Intruder Training. Actus Consulting’s David Klug has more than 20 years of law enforcement experience and nearly a decade creating and implementing safety programs specifically for schools. From active shooter events, to other types of internal or external threats, Actus Violent Intruder Training has prepared ESUSD employees with a clear plan of action if faced with a worst-case scenario. Dave Klug presented recommendations to the Board of Education regarding the best next steps regarding school safety at the June 26, 2018 board meeting. Analysis of crime data including police calls for service and crime statistics. Review use of Crime Prevention through Environmental Design (CPTED) principles. Preparation of an updated “lock down” district wide policy. ESUSD is working on a program and activities to support social emotional learning. The District is committed to providing a school experience where all children are physically and emotionally safe. For next year, the District has increased counseling services at the elementary level and supplemental counseling services at the El Segundo Middle School, El Segundo High School and Arena High School. It is not a coincidence that the topic of mental and emotional health is an area of focus for ESUSD’s leadership team and wellness committee. ESUSD is adopting a K-12 social emotional learning initiative to improve support for students at all levels. ESUSD is fortunate to have a long, positive, and collaborative partnership with the El Segundo Police Department. To address our top priority of keeping ESUSD schools safe, Chief Bill Whalen and Superintendent Melissa Moore communicate regularly about plans, implementation of safety measures, and available resources. Recently, the city funds added another full time ESPD School Resource Officer for all El Segundo schools. The emergency response time by patrol officers is less than 3 minutes of receiving a 911 emergency call. The ESPD responds to and investigates all safety-related threats, including those on social media. Safety is our collective responsibility. By working together and communicating openly – and especially by talking with and listening to our students – we can continue to keep our schools safe.